A species' traits define the role it plays in the ecosystem in which it lives—this is the conclusion of a study carried out by researchers at Linköping University, Sweden. New methods can make it easier to predict the ecological role that a species will play when it is introduced, by accident or design, into a new habitat. How is an ecosystem affected when one or several species die out, or when a new species invades and disturbs it? In order to predict how complex ecosystems will react to disturbances, it is important to understand how species influence each other. Theoretical ecology approaches such ecological questions with the aid of mathematical models. A new theoretical ecology study, published in the scientific journal Ecology Letters, focuses on marine ecosystems, such as coral reefs, fjords and the open sea. These marine systems contain several habitats of great ecological and economic importance. The scientific analysis of these habitats is, however, complicated because of the number and variety of species that call them home. It is expensive, time-consuming and difficult to measure who feeds on whom in the natural world, and how each species is affected by the feeding patterns of other species. It is thus a great advantage to take a shortcut and predict the role of a species in an ecosystem based on its known traits without knowing all of its interactions with other species. The researchers started by identifying all the possible combinations of interactions for three species in a food web. These patterns are known as "motifs," and are used within many fields of research to analyse networks and to mirror functions within the network. The researchers defined the ecological role of a species in an ecosystem as the number of times the species appears in different locations in different motifs. They used data from six complex marine food webs from the tropics to the poles, and looked for correlations between the ecological roles of species and some easily collected traits. Species' traits and their roles did turn out to be related, and the researchers discovered that the environment in which a species seeks its prey is particularly important. The study has looked at marine ecosystems, and more research is needed to determine whether the roles of species in land-based habitats depend on their traits in the same way. 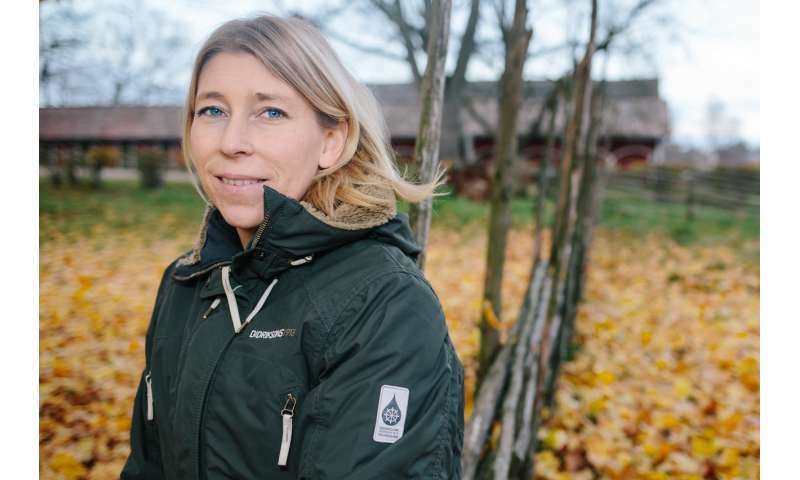 "It's easy to use our methods in other systems, and we hope that our study will inspire others to look at other systems in the future" says Anna Eklöf.